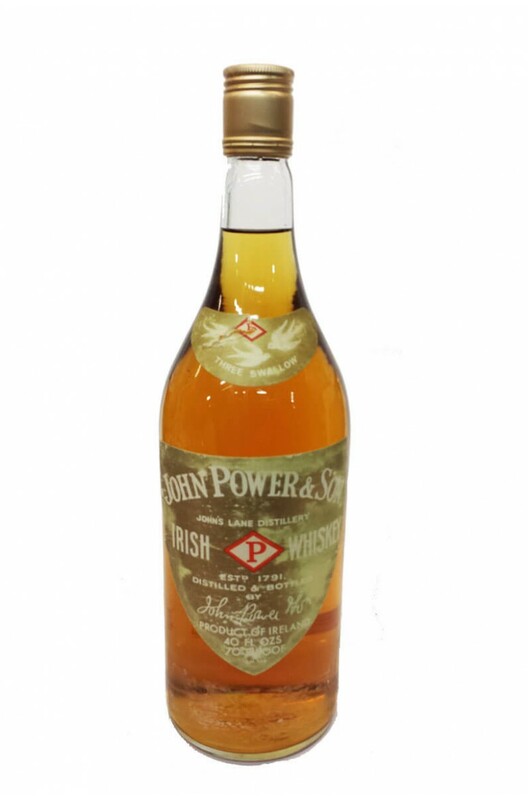 An old Powers Gold label that dates from around the late 1970s/early 1980s. The label states that it is a 40Floz bottle and the strength is 70 proof. There has been some wear and tear to the label and the bottom label strip is missing.